Magnetic sensors play a key role in a variety of applications, such as speed and position sensing in the automotive industry or in biomedical applications. Within the framework of the Christian Doppler Laboratory "Advanced Magnetic Sensing and Materials" headed by Dieter Süss novel magnetic sensors have been realized that surpass conventional technologies in performance and accuracy in a cooperation between the University of Vienna, the Danube University Krems and Infineon AG. The researchers present the new development in the latest issue of the journal Nature Electronics. The core of novel magnetic field sensors is a microstructured ferromagnetic thin-film element that can convert magnetic signals. This so-called transducer element changes its electrical behavior as soon as a magnetic field is applied from the outside; the atomic "compass needles," the atomic magnetic dipoles, are realigned and thus change the electrical resistance of the transducer element. This behavior is used to determine the magnetic fields. The position of the center of the vortex is proportional to the applied magnetic field and serves as a reproducible and precise measurement variable. Credit: Dieter Suess et al. However, the performance of these sensors is considerably limited by a number of factors. The physical origin and fundamental limits have been analysed in detail by a team led by Dieter Süss in a cooperation between the University of Vienna, the Danube University Krems and Infineon AG in the framework of the Christian Doppler Laboratory "Advanced Magnetic Sensing and Materials." They recently published the results of their investigations and concrete proposals for solutions in the journal Nature Electronics. 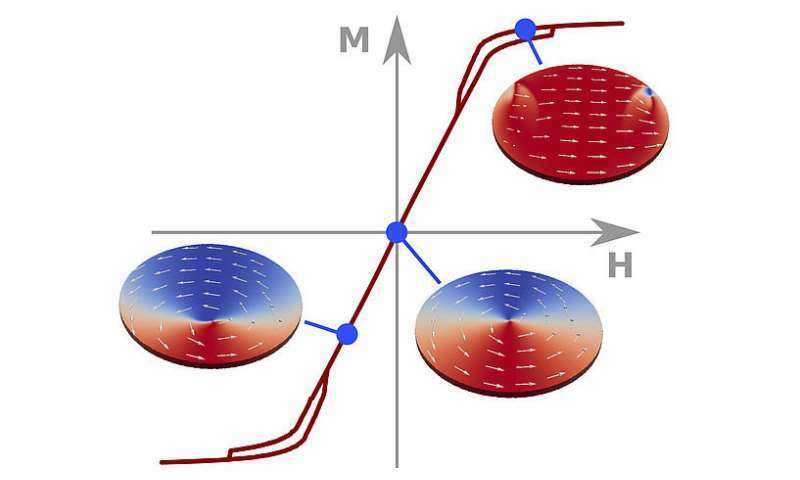 By means of computer simulations that have been validated by experiments, the scientists showed that both interference signals, magnetic noise and hysteresis, can be significantly reduced by redesigning the transducer element. In the new design, the atomic magnetic dipoles of the transducer element are aligned in a circle around a center, similar to a hurricane. An externally applied magnetic field changes the position of the centre of this vortex, which in turn leads directly to a change in the electrical resistance. 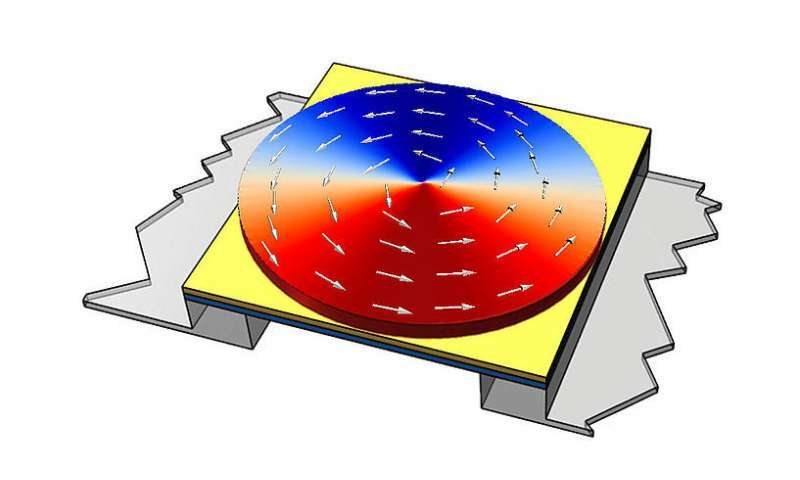 "This development shows the first mass application of magnetic vortex structures and a significant improvement over conventional magnetic sensors," says project leader Dieter Süss. The research project is an excellent example where basic research and purely scientific questions, such as the behaviour of magnetic vortex structures in external magnetic fields, can lead to extremely successful applications. "The prerequisite for this is a cooperation between science and industry, whereby the industry provides both the practically relevant questions as well as technical facilities such as clean rooms for the realisation of these complex technologies," says Süss about this important synergy.